"The North British Society of Halifax desires permission to erect within the city a monument to Robert Burns, feeling that it is eminently fitting that the Oldest Existing Scottish Society of the Province and Dominion should in this way commemorate in the capital of New Scotland, Old Scotland's greatest poet, and in whose immortal verse the thoughts and feelings of Scotsmen found perhaps their truest and deepest expression." 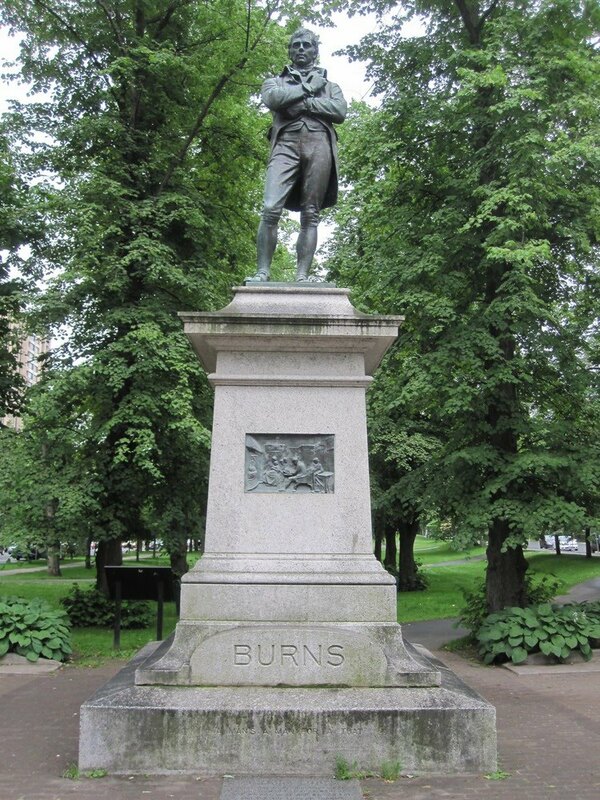 And so it came to be that the above statue, a copy of the distinguished Burns statue by George Lawson in Ayr, Scotland, came to rest at the entrance to Victoria Park, at the intersection of South Park Street and Spring Garden Road. Interestingly, Halifax, Winnipeg, Vancouver, and Melbourne, Australia all have the same copy of this statue. Even more interesting, Montreal, Belfast, Ireland, and Paris, France all have one too.